Haiti’s ongoing cholera outbreak has hit more than one out of every 20 Haitian men, women, and children. It is by far the worst epidemic of cholera in the past century and to date has killed well over 8,000 people… including many children. How did it get started? Most scientists agree that the cholera bug was brought to Haiti after the 2010 earthquakes by U.N. peacekeepers from Nepal. When cholera tainted the Artibonite River, it infected the main source of water for much of the country. Under normal circumstances, this would not have become an epidemic. But the lack of hygiene and sanitation infrastructure means than cholera is not contained. It spreads rapidly. In our area, the river is not safe to drink. Yet it is the main source of water for everyone who lives here. This is the first outbreak of cholera in Haiti. We work extremely hard to maintain sanitary conditions and to keep the children safe. 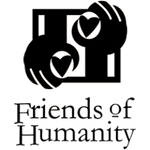 Friends of Humanity built a well that provides clean water for the orphanage and the hospital. But of course so much more could be done. We treat many children who arrive with diseases that could be prevented with basic necessities and healthcare. We are very limited in terms of being able to provide antibiotics and intravenous hydration. Sadly, many children die who would recover quickly and easily in the U.S. It is easy to forget about a country as poor as Haiti. We can’t save everyone but, YES, we are saving some… and helping them get the education that will enable them to save others. So think of Friends of Humanity the next time you drink a glass of water. Is Spam On Your Xmas List?